It was an all or nothing game Sunday night in Arlington. The Blue Jays were facing elimination and needed a win in order to see Game 4 Monday. Texas currently held a 2-0 series lead looking to send the blue birds back to their Canadian nest. 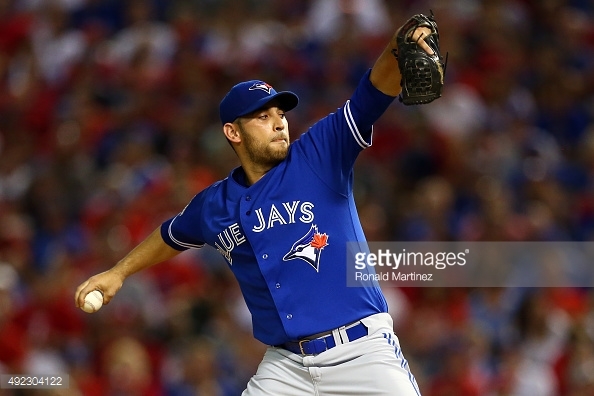 Marco Estrada would be sent to the hill to face off against the Rangers Martin Perez. Game 3 would be the first career post-season start for Estrada. The big question for Jay’s fans would be how would he do. Well through the first two innings, Estrada would keep the Texas bats quiet. He would not let up a hit thorough the first two innings. Heading into the third, Dioner Navarro would get things started. He would hit a double into center field and would later score after Ryan Goins hit into a ground out double play. Top of the 4th, the Jays would continue to look patience in the box as they would get bases loaded with Tulowitzki up. He would take his time, see the ball well, and take a walk scoring in the team’s second run of the game. Texas would not get a base runner through the first four innings. Top of the 6th, Troy would be up to the dish again, and he would serve some heat. He would hit a 3-run home run into left field giving breathing room. Even though Troy has been on a bit of a rough stretch as of late, the FOX broadcasters said, “He’s still Troy Tulowitzki. Forget the numbers, that’s a bad man right there.” The home run would also be Tulo’s first since the 2007 NLDS. Bottom of the seventh, Estrada would be pulled in relief of Aaron Loup after letting runners reach second and third. He would end up going 6 1/3, in line for the win. 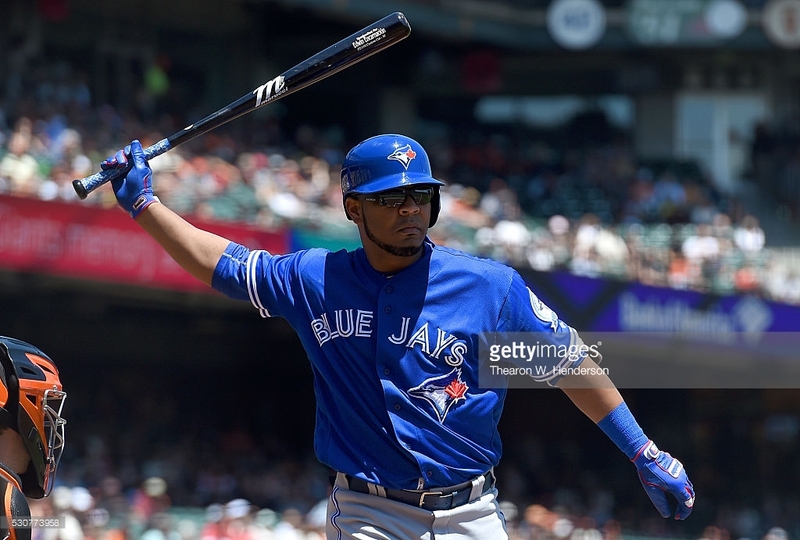 Texas would get a man home in that inning, as the Jays would still lead by four. We would then see David Price warming up in the bullpen, just in case he was needed for another left-hander to come in. That wouldn’t be necessary however as Roberto Osuna would come in to close it out as Elvis Andrus would fly out to Revere to end the game. With the win, it would be the first ever playoff game that Toronto has won when facing elimination. Even though they won, Texas would get four double plays during the game. As the team looks ahead to Game 4 Monday, they will need to try and prevent that from happening as they look to get another must win, to head to Toronto for Game 5. First pitch in Arlington will be at 4:07EST. R.A. Dickey will represent the Jays in his first post-season game, as the Rangers will send Derek Holland to the mound.